Physical and mental illnesses can have a massive impact on all aspects of peoples’ lives, affecting well-being, employment and personal finances. Some illnesses, including invisible disabilities such as fibromyalgia, chronic fatigue or depression, can cause extended periods of missed work or unemployment. These illnesses may result in significant employment issues, but may also give rise to benefit entitlements, each of which will impact on the other. It is important to choose a lawyer who is experienced in employment law, benefits law and human rights law to properly understand your rights and responsibilities. Our firm represents individuals with a range of benefit schemes, including Long-Term Disability (LTD) provided by private insurance companies and Canada Pension Plan Disability (CPP). We work with clients where LTD benefits have been denied to change the insurer’s decision, by issuing a demand letter or through the production of additional medical evidence. If benefits continue to be refused, we take action before the Courts. When these matters are brought to court, we can negotiate. We have been very successful in negotiating settlements at the mediation stage of a litigation. However, we are well equipped to bring these matters to trial, if necessary. We regularly represent federal sector employees in Long Term Disability claims against Sun Life and Industrial Alliance. 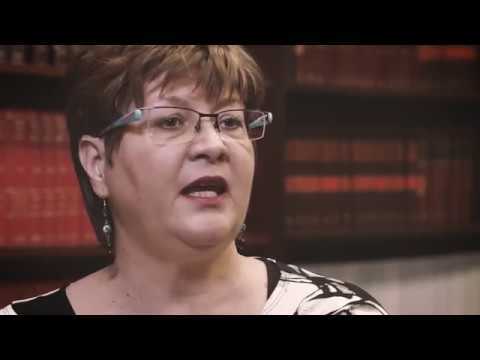 We represent many provincial, municipal and private sector employees in Long Term Disability claims against Great West Life, Manulife, Desjardins Insurance, Royal Bank Insurance, SSQ, Blue Cross, and many other insurance companies. CPP Disability benefits provide financial assistance to eligible individuals who suffer from a “severe and prolonged” disability, as well as to individuals in other limited circumstances. We assist people in applying for these benefits, and our firm represents individuals who have been denied them in appeals and proceedings of judicial review. Given the difficult financial circumstances of many LTD and CPP Disability applicants, we are open to discussing the possibility of alternative billing arrangements with our clients, including contingency agreements. Our firm also has extensive experience providing presentations to groups, organizations and associations on topics pertaining to disability benefits, including obtaining disability benefits, issues related to returning to work, the duty to accommodate and disability in the workplace (please see conference information). Lawyers from our firm also regularly speak at professional conferences on issues related to disability benefits. To find out more about the presentations we can offer, please contact us. It is both professionally and personally satisfying to obtain Long Term Disability benefits, Canada Pension Plan Disability benefits, or lump sums in lieu of these benefits for clients who have been improperly denied their rights. In the face of very difficult physical and mental challenges, our clients’ lives are made better.